If there's one craft supply that I like to hoard the most, it's quite possibly seasonal foam shapes. I have bunnies, hearts, Christmas ones, snowflakes, snowmen, and so many more. They're so versatile, which is why I like to keep a healthy supply of them around my house! Ha! 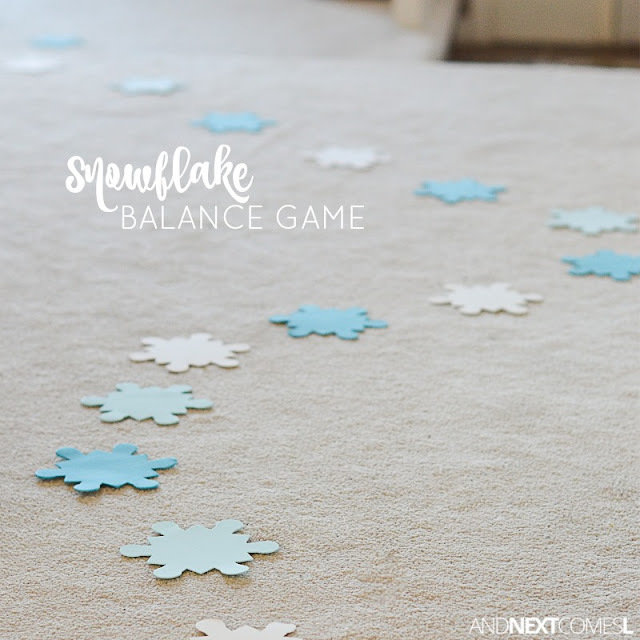 For instance, we like to play this snowflake gross motor balance activity as a quick way to burn off energy and work on different skills. It's simple and my kids love it! We have done lots of seasonal variations of this game in the past. So often, in fact, that every time K sees me grab a set of foam shapes, he's like: "Can I jump or walk across those?!" 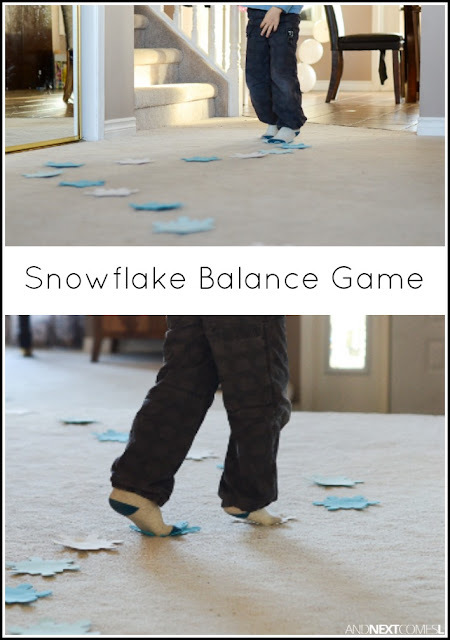 But here's the thing...you can easily transform this simple gross motor activity into a superb learning activity to target sight words, math skills, and so much more! You can read more about those variations over on CBC Parents.